It’s beginning to look a lot like Christmas, thanks to holiday helpers at the Greens Farms Garden Club. 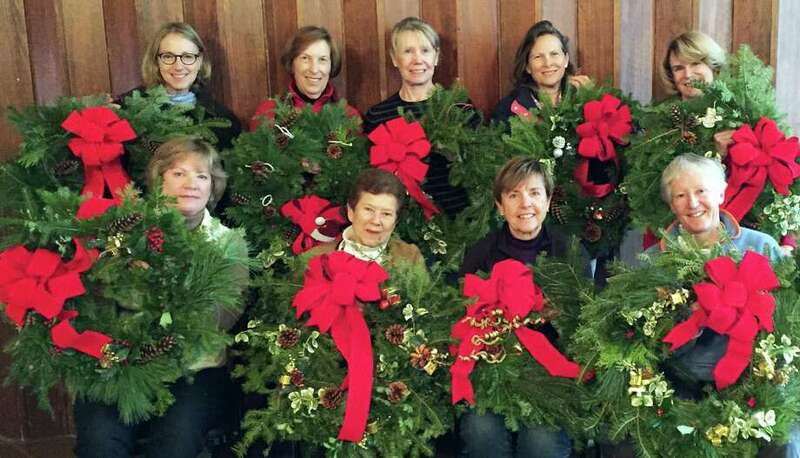 Members of the 86-year-old club have decorated — and donated — a host of fresh wreaths to spread the season’s spirit at local train stations and organizations throughout the area. Recipients of wreaths from the club this year include Grasmere Eldercare Center in Fairfield, CLASP Homes in Westport, the Bigelow Center for Senior Activities in Fairfield, Star Inc. in Norwalk and the Center for Family Justice in Bridgeport, as well as the Fairfield Center, Southport and Greens Farms railroad depots.